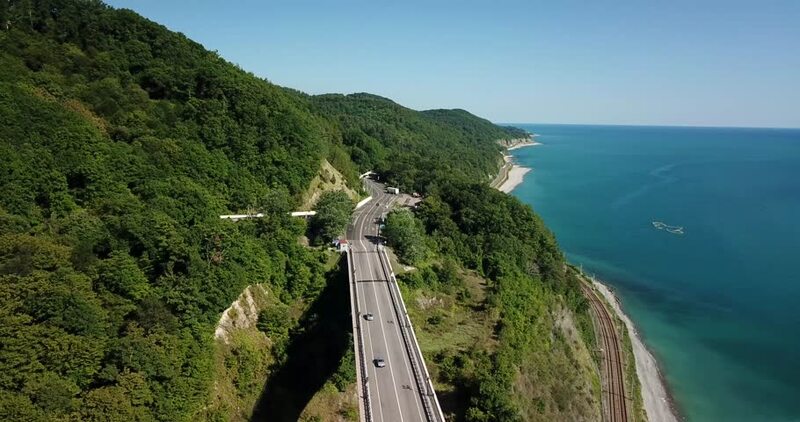 4K aerial stock footage of car driving along the winding mountain pass road through the forest in Sochi, Russia. People traveling, road trip on curvy road through beautiful countryside scenery. 4k00:12Drone shot of tropical island coastline in Taiwan. hd00:14Aerial view of Mediterranean Coastline along the Croatia. Cars driving on highway near to the cliffs overlooking the blue sea.